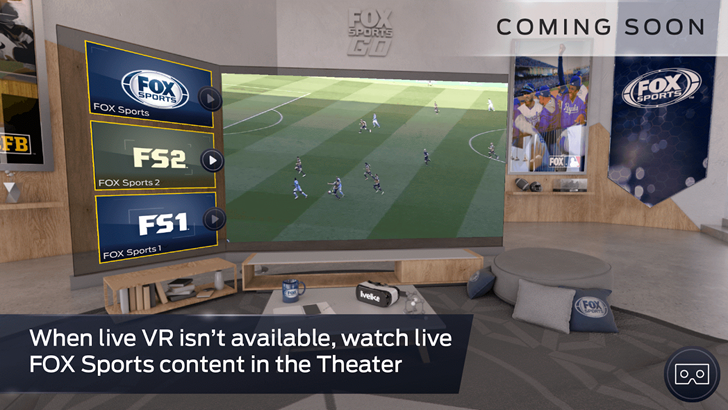 Okay, so maybe FOX Sports VR isn't quite so existentially depressing. 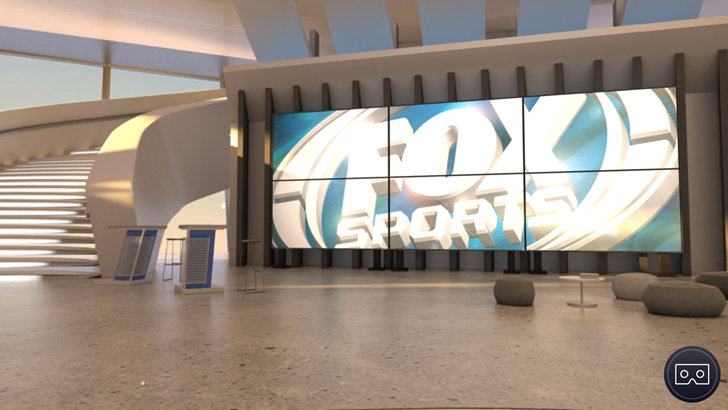 Maybe it's just a neat way for sports fans to watch some of FOX's content that uses the mobile gadget du jour, Google's Cardboard headset. 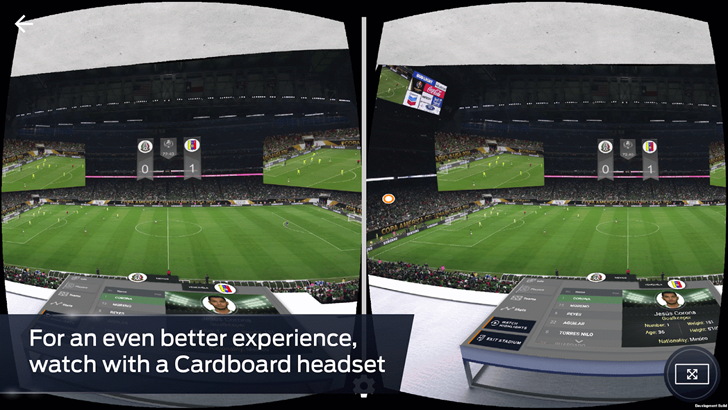 The app lets you pretend to be in a swanky stadium suite to watch the game, or just a really big home theater for some other content, or you can skip the pretense and watch everything in a super-sized VR screen. For some games you can even swap between multiple camera perspectives, as if you're your own live sports producer. This isn't some gimmicky limited player. Well, not just some gimmicky player. Users who subscribe to cable can log in with their credentials and watch live, full-length games streaming into their eyeballs. If you don't have a Cardboard player (or just don't like the experience) a full-screen view is available, though it kind of misses the point. Unfortunately there's nothing to do in the app when there are no actual games to watch, so on a Wednesday morning there's not much for me to try out. 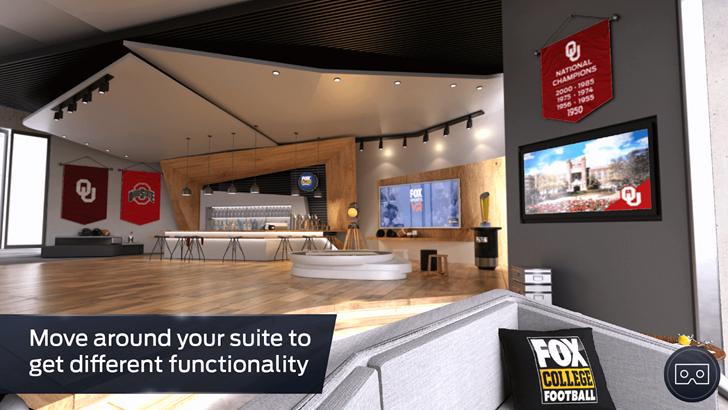 If FOX wanted to embrace the whole VR bachelor pad idea they could add in some customization options, so that I could paint the whole place Aggie maroon and white.